This post is taken from https://crossexamined.org/how-to-get-men-to-church/. The author is Timothy Fox. There’s a critical gender gap problem in America: Christianity’s gender gap. 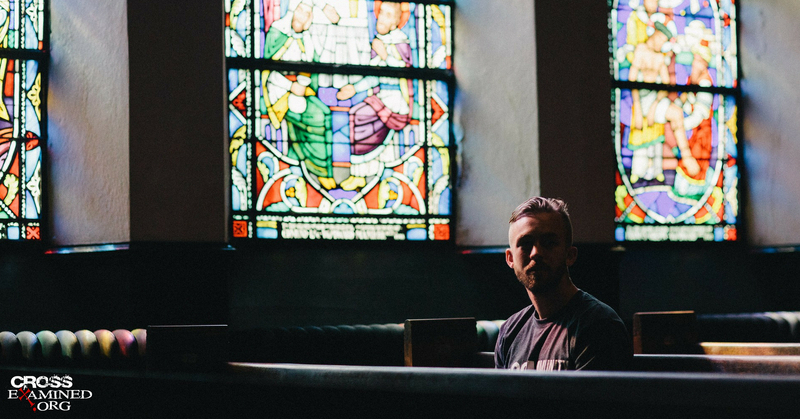 Men attend church far less than women. Why? There are many reasons, from weak, whiny worship to emotions-based sermons. Church isn’t masculine, so men don’t go. I’m a pastor’s kid. I grew up in church. I always believed in Christianity, but I also always had a major disconnect. Church was completely feelings-based: sensing God’s presence through emotional worship and charismatic preaching. That wasn’t for me at all. I’m a logic guy. I have a B. S. in Computer Science, worked for many years as a software engineer, and now teach mathematics. Like I said, a logic guy. It wasn’t until I discovered apologetics that Christianity clicked for me. I found my place within the church. I finally belonged. I’m sure many men have the same problem with church that I did. Fortunately, apologetics can show them the rational side of Christianity. We have a deep intellectual tradition that should not be forgotten. Our worldview is not based solely on blind faith and religious experience. There are good, logical reasons to think that Christianity is true. Of course, the affective side of man is important as well, that worship services can – and should – reach the entire person, both mind, and heart. But there is an imbalance in our churches. Apologetics can help fix that and draw in men. Do you know any men who always find something to fix, even if it isn’t broken? They’re constantly tinkering here or making a home improvement there. Some guys just need to do something at all times (which is better than being idle!). They want to feel needed and important, to help solve problems. But men see nothing to do at church. It’s mostly passive. Apologetics can give men a purpose in their church. Teaching a class or helping the pastor research for a sermon. Being a resource, on-call when needed. Apologetics make men a vital part of a church instead of being a passive attendee. I found it interesting how many of my male classmates in Biola’s Christian Apologetics program had either military or martial arts background. These men had an instinctive need to protect their country, community, and family, and now sought to protect their church. And that’s exactly what apologetics is: providing a defense for the Christian faith (1 Peter 3:15). My argument isn’t that apologetics needs men, although we can always use more (and women too, of course!). No, my argument is that men need apologetics. It meets specific masculine needs that the church is unfortunately lacking. So if you want to get the man in your life to become passionate about spiritual things, introduce him to apologetics. This entry was posted in Apologetics, Christianity, Philosophy, Repost, Worldview on November 24, 2018 by DogTags. What is more illogical, the existence of free will, or a determinist who is open to having his choice to believe in determinism changed by the evidence? But, if determinism is true then I guess George had no choice but to hold an illogical position. This entry was posted in Apologetics, Atheism, Determinisim/Fatalism, Free Will and tagged Atheists Say the Darnedest Things, Determinism, Free Will, Illogical Atheism on December 18, 2017 by DogTags.